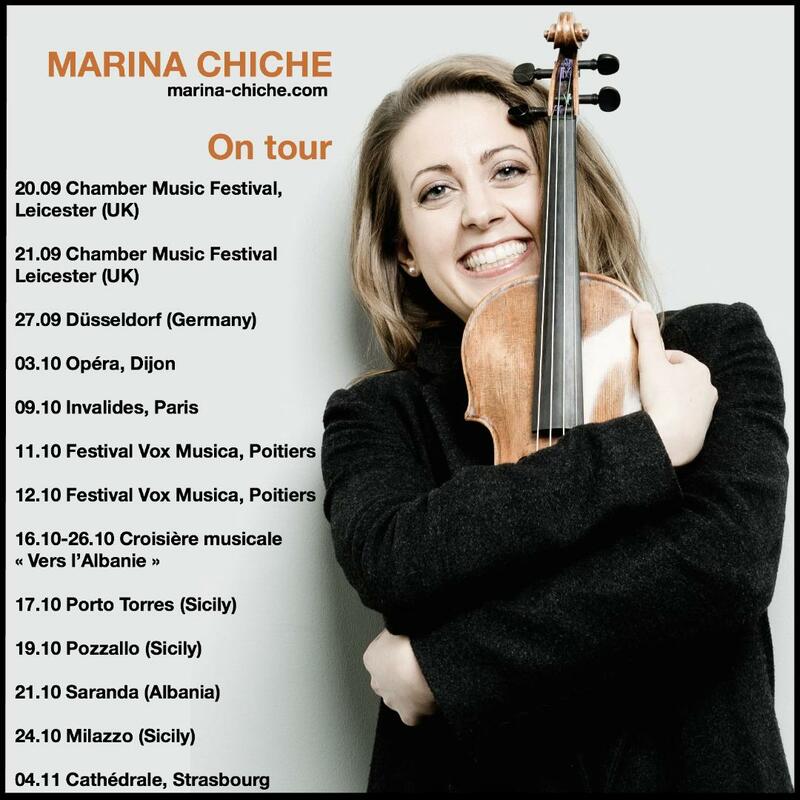 Marina Chiche Violin » The new season is starting ! The new season is starting ! here is an overview of my concert dates for the next months. I will be travelling a lot. I hope to see many of you here and there. Please do let me know if you are coming to some concerts and most importantly, come and say Hi afterwards ! Sometimes some people think it disturbs the artist and they don’t dare come but let me tell you something, it is not true for me. Of course, it might happen that I am exhausted and need to get changed very quickly or that I am just starving, but being in touch with the audience after a performance is so rewarding. That being said, I look forward to playing with wonderful colleagues like Nicholas Daniel, Katya Apekisheva and Leonard Elschenbroich in Leicester (UK), Aurélien Pontier in Düsseldorf (Germany) and Poitiers (France), Abdel Rahman El Bacha and Tedi Papavrami in Italy. 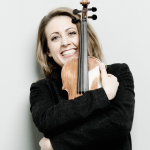 And the repertoire is going to be huge : french solo pieces and Beethoven Concerto, sonatas by Schumann, Brahms, trio by Beethoven, lots of chamber music by Dvorak, Martinu, Bartok and Rachmaninoff and contemporary music by Thea Musgrave. Wish me luck ! And See you soon !